Staff Handbooks – Do you need to produce a Staff Handbook for your organisation? 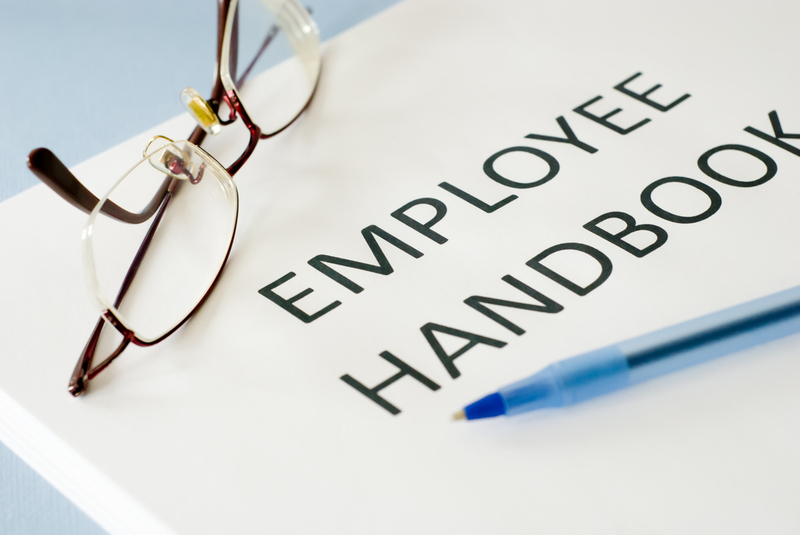 The employee handbook can be used to bring together employment and job-related information which employees need to know, such as holiday arrangements, company rules and disciplinary and grievance procedures. It can also provide useful source of information to new staff as part of the induction process. A written employee handbook gives clear advice to employees and creates a culture where issues are dealt with fairly and consistently. Do you need to produce a Staff Handbook for your organisation? We can offer you a 40 page professionally written and designed Staff Handbook. We will adapt this to you organisation. Based on models of good practice, it will meet the requirements of UK law. A welcome statement, which may also briefly describe the company’s history, reasons for its success and how the employee can contribute to future successes. It may also include a mission statement, or a statement about a business’ goals and objectives. Definitions of full- and part-time employment, and benefits each classification receives. In addition, this area also describes timekeeping procedures (such as defining a “work week”). This area may also include information about daily breaks (for lunch and rest). Information about employee pay and benefits (such as vacation and insurance). Usually, new employees are awarded some benefits, plus additional rewards i.e. additional vacation and pay raises) after having worked for a company for a certain period of time. These are spelled out in this section.